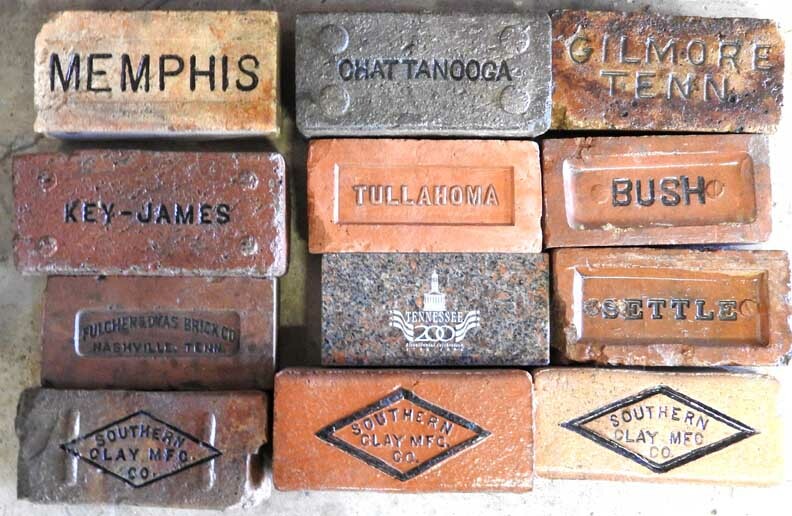 Georgia: Macon - Cherokee Brick & Tile Co. Many of the personnel who created this exposition were hired by Buffalo for the 1901 Pan-American Exposition. Indiana: Flora. 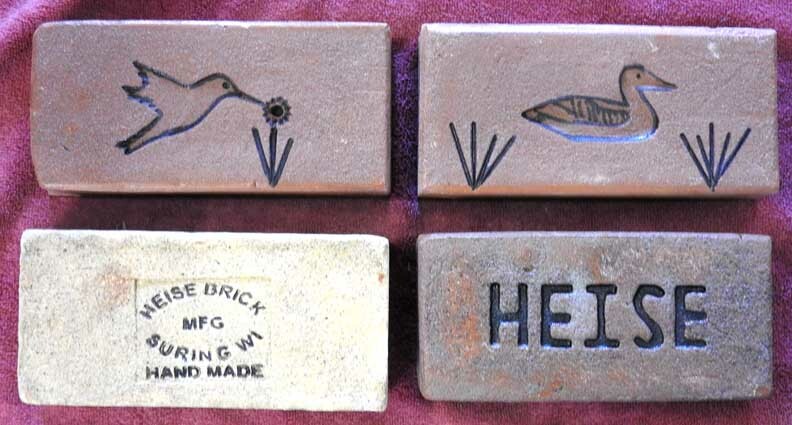 Wildcat Creek Brick Co.
Upper left: Snow anchor in the shape of a bird. 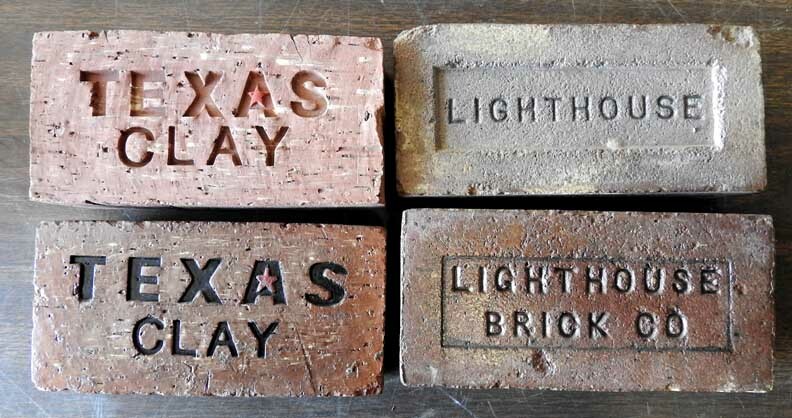 The 2 star bricks are made from the star anchor in upper right. 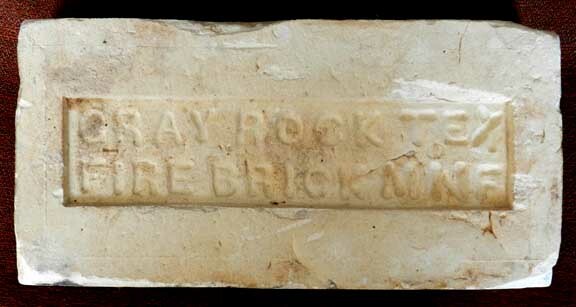 Missouri: The only known Mark Twain fireplace brick - perhaps the most prized brick in the Clement collection. 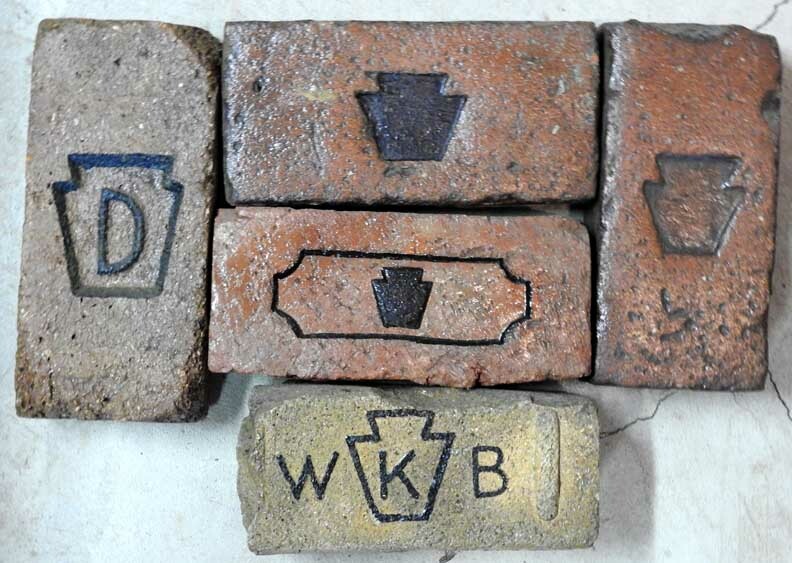 Missouri: St. Louis: Parker & Russell Mine & Manufacturing Co.
New Jersey: Blue Ridge Brick Co. 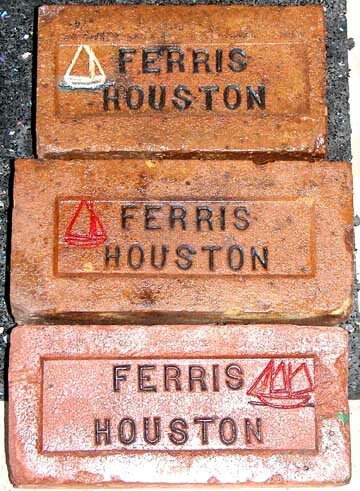 Identical brick used in the Darwin Martin House. 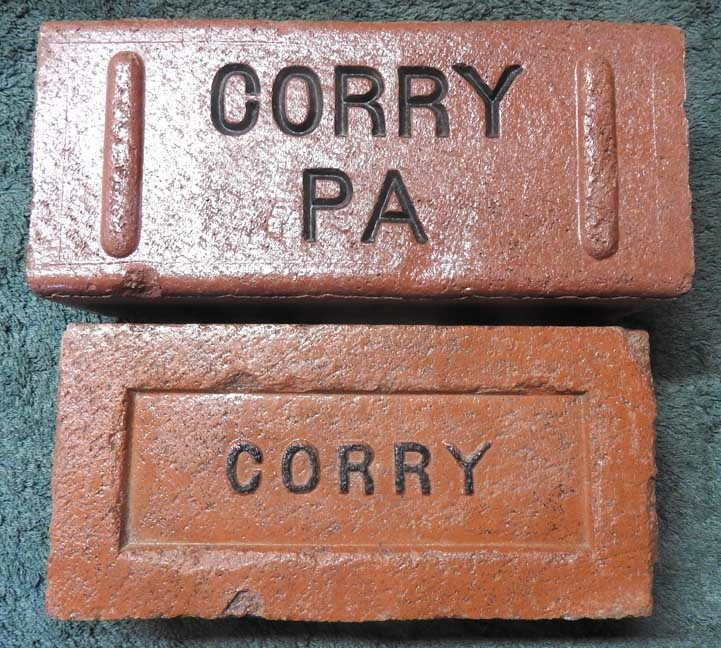 This brick Found at Gannon University, Erie Pennsylvania. Red coloring added for emphasis. 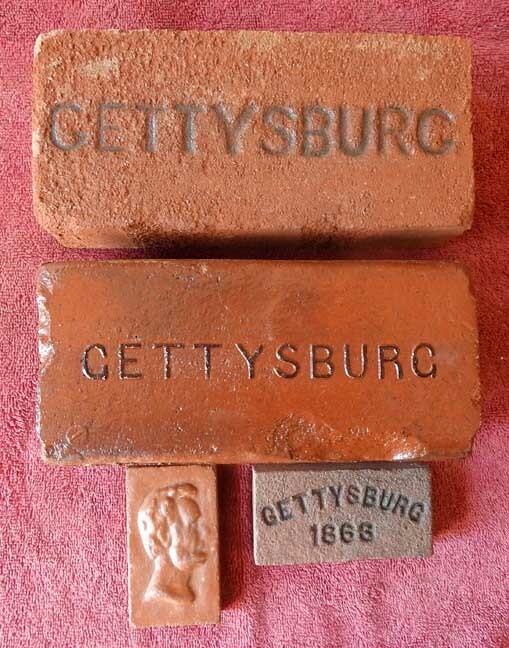 C. 1900 George Washington brick found on the Delaware River. 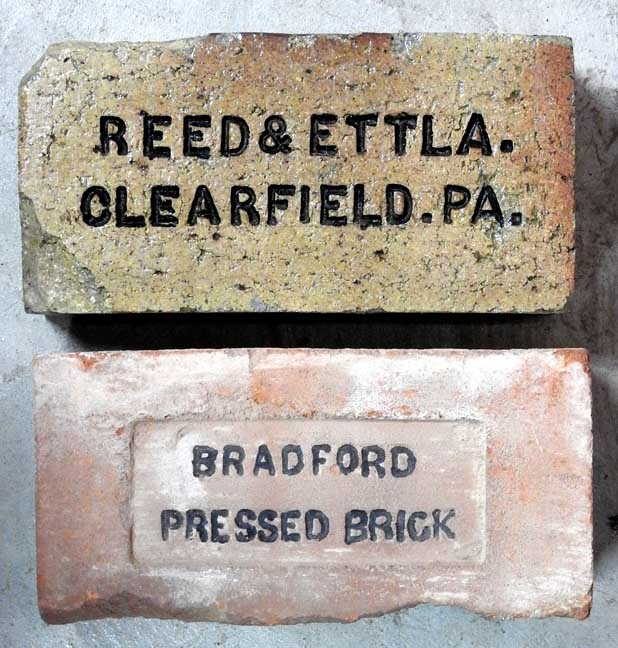 New York: Horseheads, Consolidated Brick Co.
New York: Horseheads: Consolidated Brick Co. 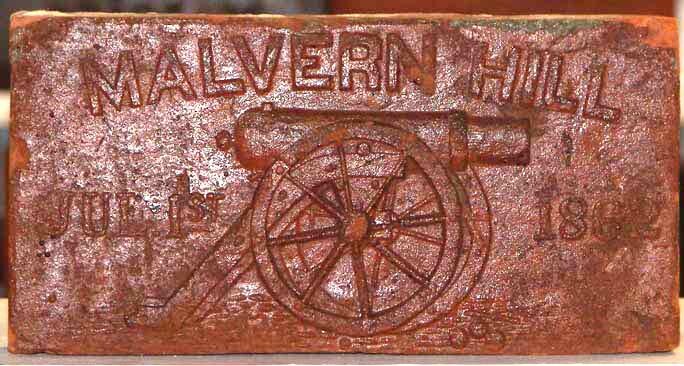 Earliest bricks of the Hudson River area. Company was in business for 10 years. 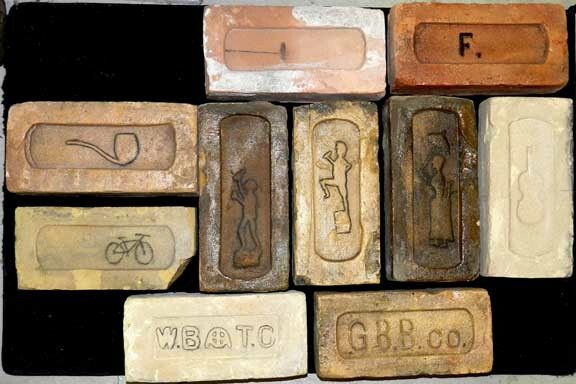 Bricks found in Niagara Falls in the New York Central Hotel privy. 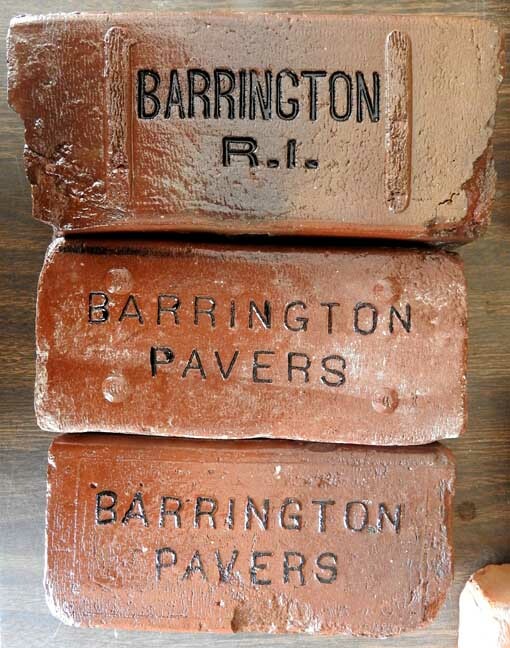 North Carolina: Ashville: Guastavino bricks from his estate in Ashville. 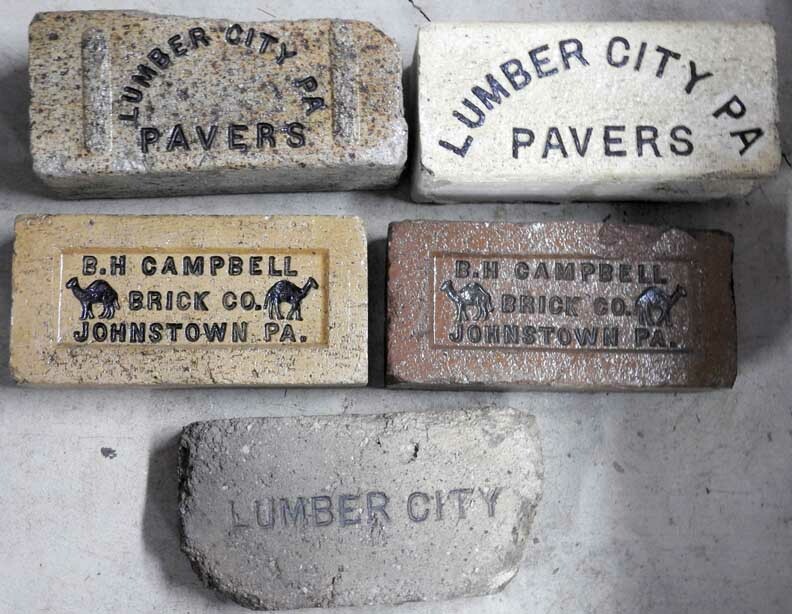 North Carolina: Ashville: Guastavino bricks from his estate in Ashville ... Leftover bricks. 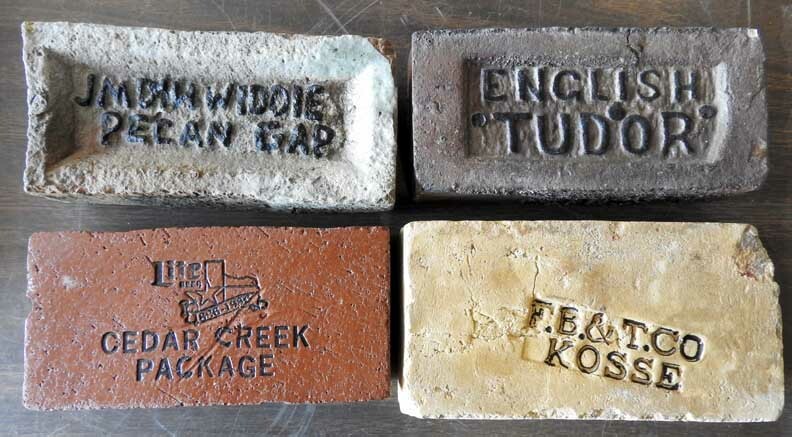 North Carolina: Ashville: Guastavino bricks found on his estate in Ashville. 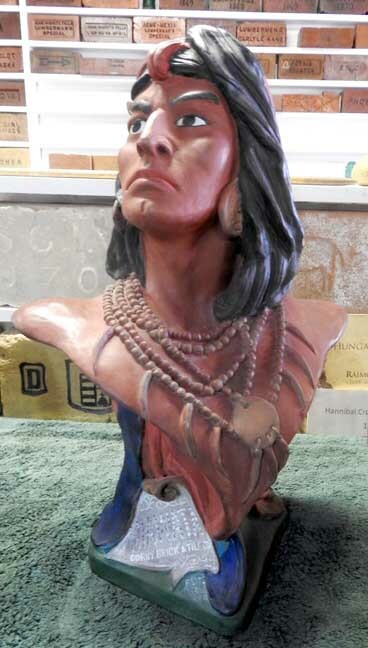 C. 1890 Rapid City, Dakota Territory collection. "Hebron" is a North Dakota town. 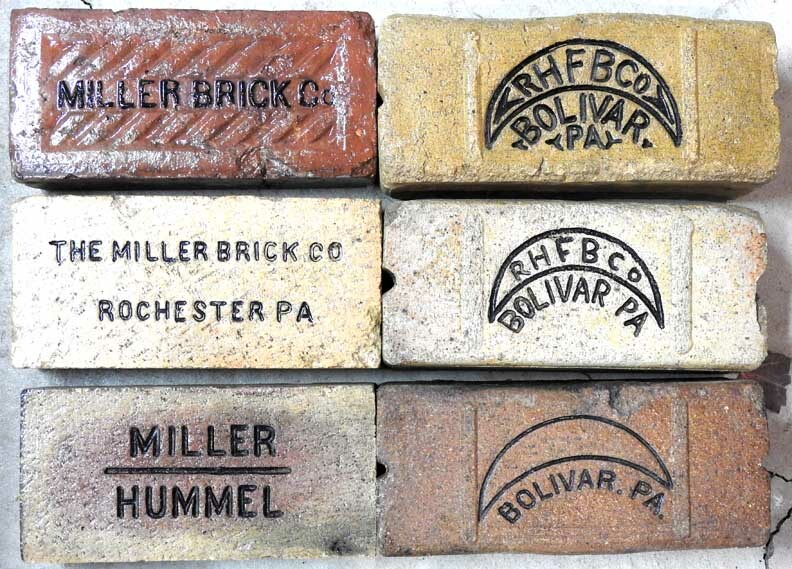 Ohio: Akron: Heart Brick Co.
Ohio: Charles Taylor and Sons Refractories. 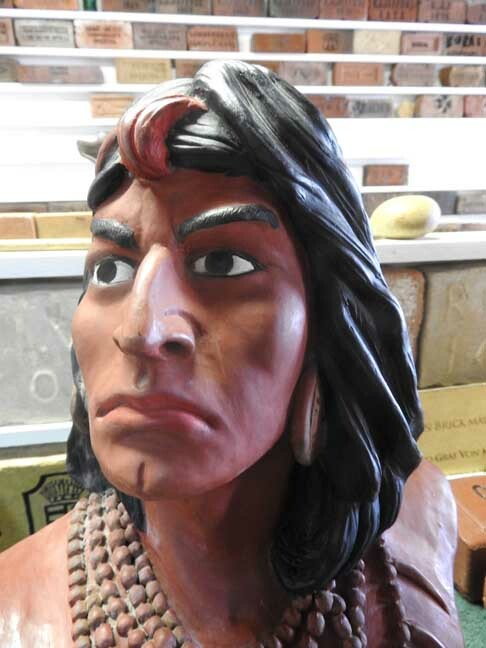 Charles Taylor immigrated from England in 1850 and began working in the Bromley Pottery in Cincinnati. He eventually married Bromley's daughter. 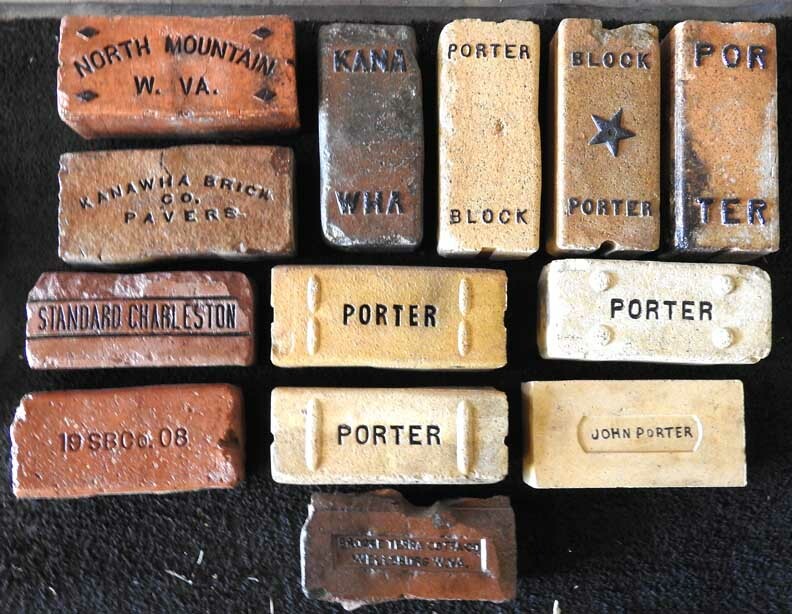 In the late 1850s he found flint fireclay in Kentucky, and in 1859 made the first firebricks in the region in an old brewery in Ashland, KY. 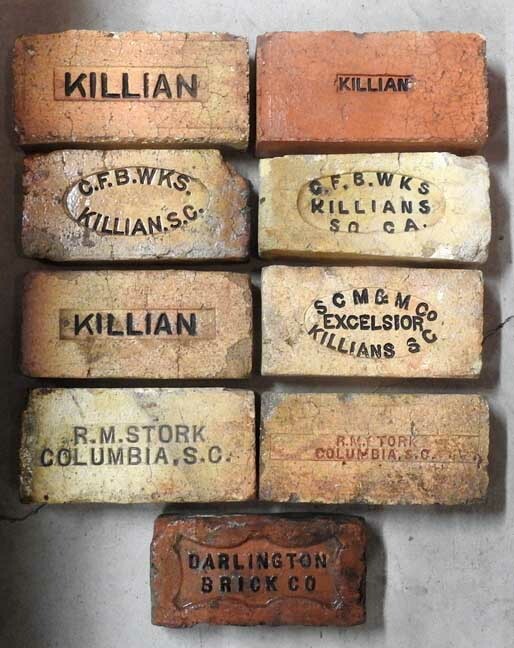 These bricks proved of good quality, and about 1862 he began a brick works in Cincinnati that would exist for over 100 years. 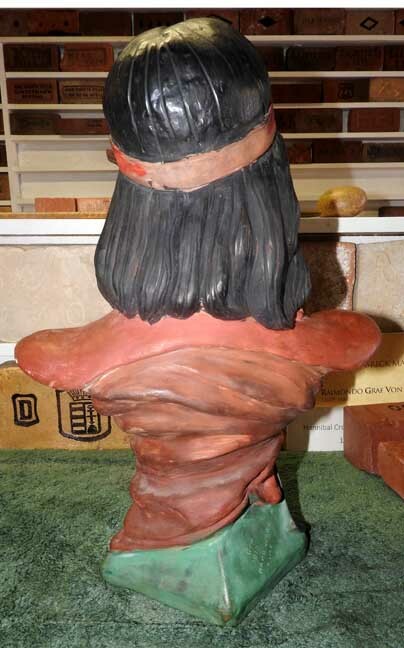 The high grade fireclays were about 90 miles upriver from Cincinnati and were barged downriver. 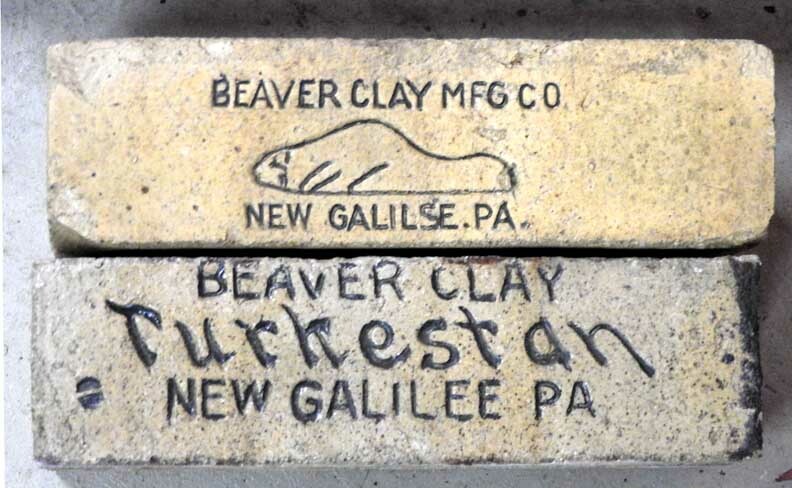 The clays were found in the hills bordering the Tygart River. Locals referred to this river as the "Tiger" River. It is believed that this is the origin of the TIGER brands. Taylor also had a plant in Anniston, AL and one in New Cumberland, WV, but these were shortlived. 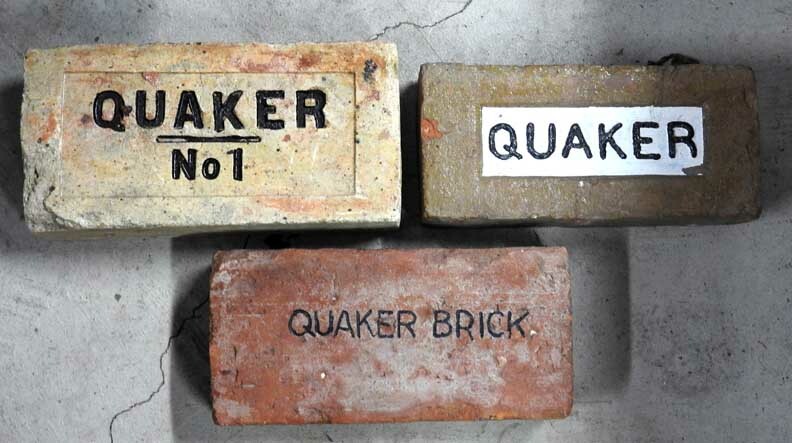 In 1902 or thereabouts they purchased the Tygart River Firebrick Company at South Shore, KY. 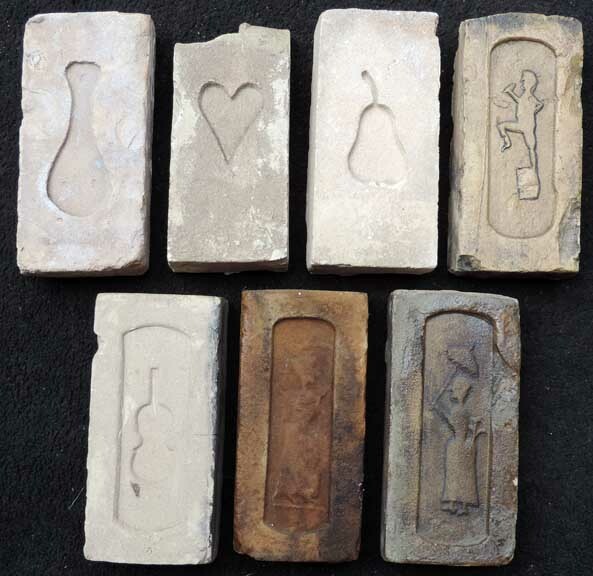 It is likely that the TIGER brand was already being used before this time. The Taylor's (sic?) sold the company to National lead following WWII. 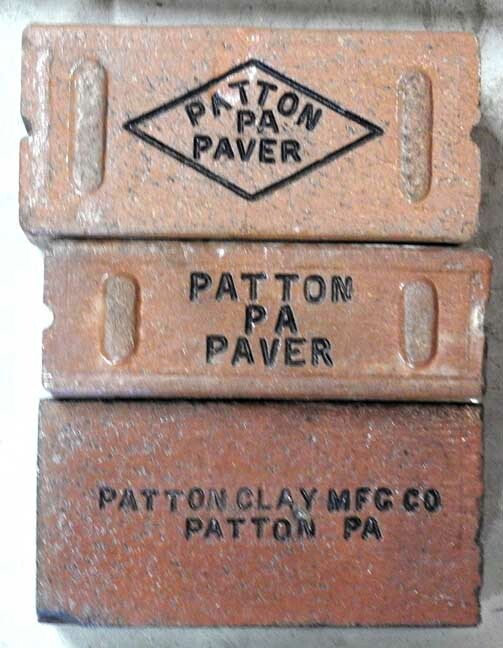 The "Pawhuska" bricks are sidewalk bricks. 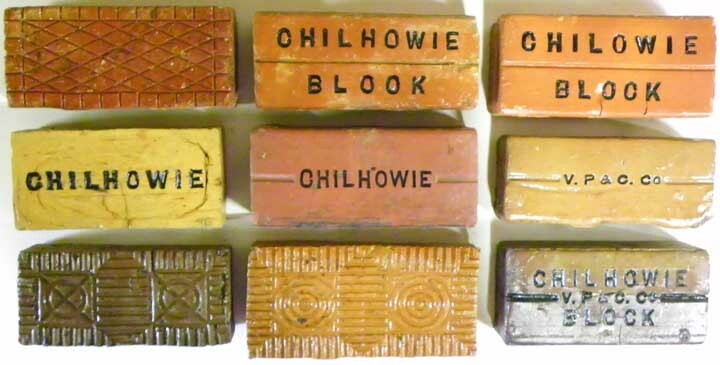 Top right is a sidewalk brick. 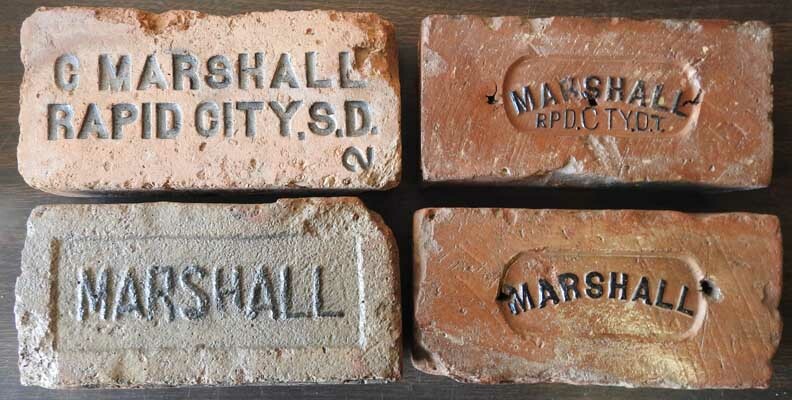 Three bricks at left are all McAlester and McAlister Co. bricks. Note the two different spellings. 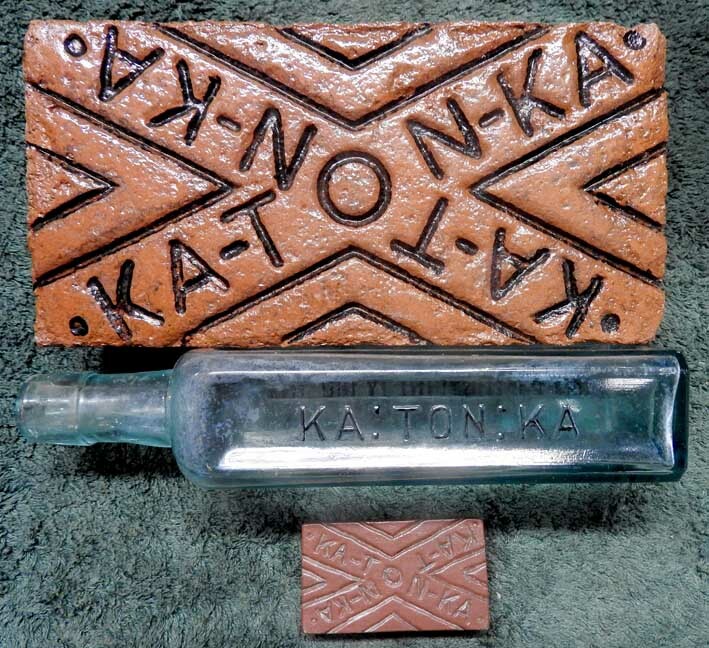 The "Pawhuska"bricks, at right, are sidewalk bricks. Oregon: E. J. Jeffrey Co. Note two different spellings. 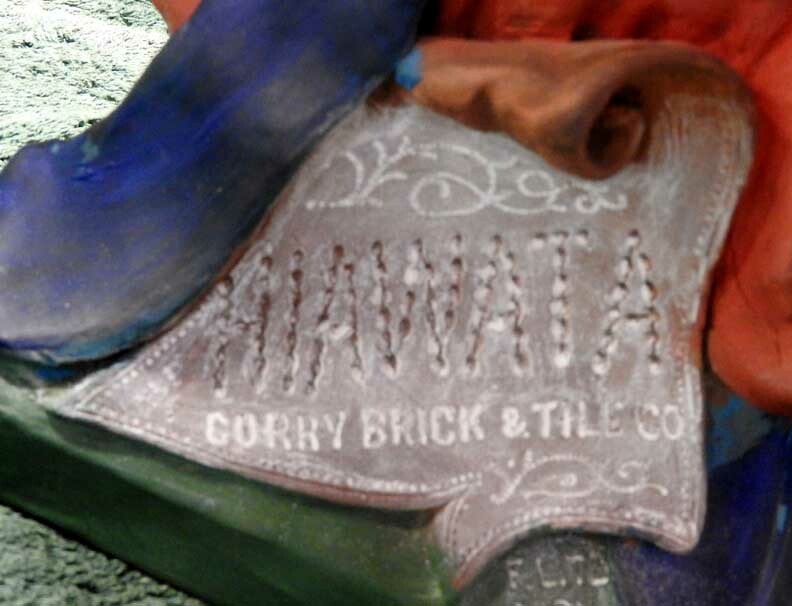 Company started in 1867. Texas: Sugar Land Prison. 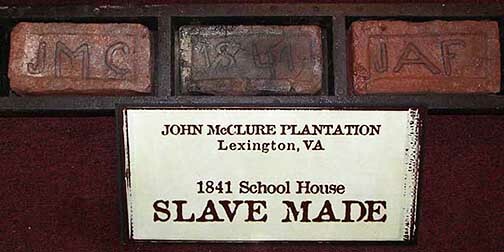 Convict-made brick. 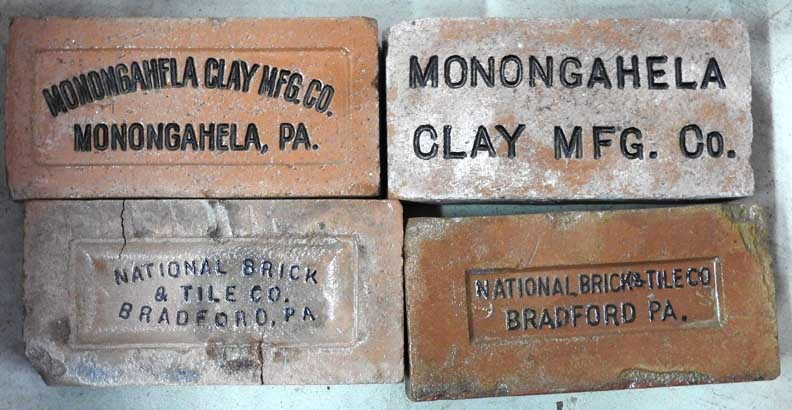 Virginia: Chilhowie Paving & Sidewalk Co.
Wisconsin: Green Bay Brick Co.
Wisconsin: C. 1840 Green Bay, Wisconsin, Brick Co. building bricks.